I have been looking at amateur artist’s sketchbooks here at YCBA. 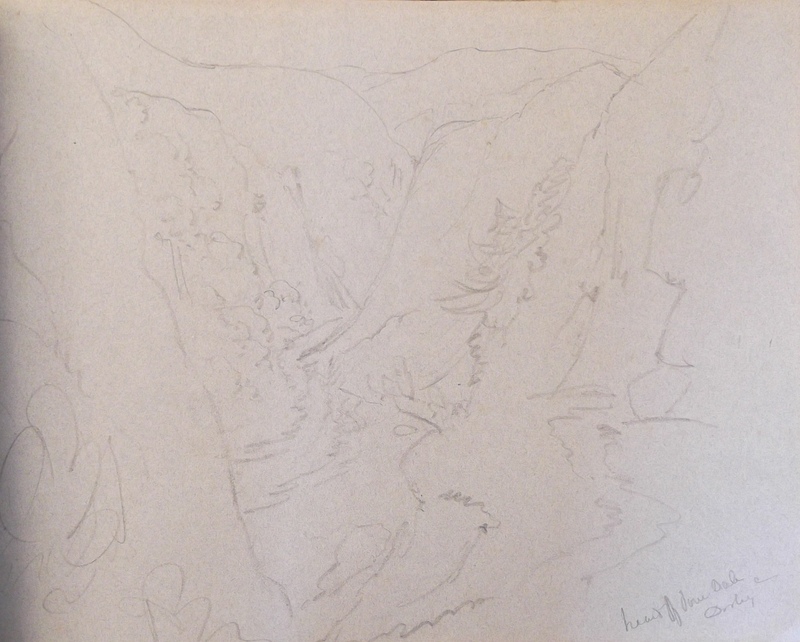 I am looking to see if artist’s visited Derbyshire and if so, where they went and what they drew. 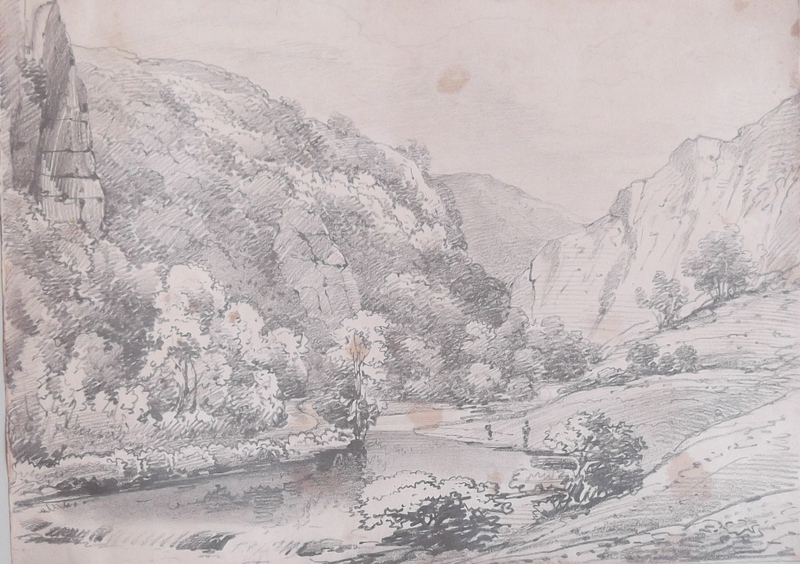 Some of the sketchbooks are catalogued as containing Derbyshire views (like William Brockedon’s sketchbook), while others are simply documented as an ‘Album of 84 drawings’ or ‘4 volumes of landscapes’. One thing that has become apparent from looking at the 19th century sketchbooks is the popularity of the Lake District. 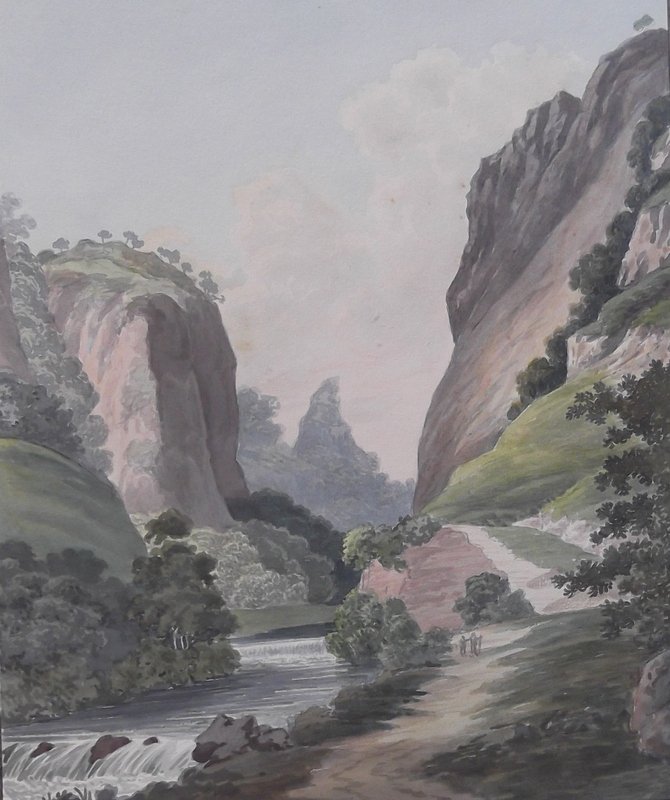 This is mirrored by what was going on at the Royal Academy in the late 18th century, where Lake District views significantly outnumbered those of Derbyshire e.g Philip de Loutherbourg exhibited 9 landscapes in 1784, of which 7 were of the Lakes and 2 of Derbyshire. In a letter to his brother Richard, Joseph Wright describes the Lakes ‘as the most stupendous scenes, I ever behold… they are to the eye what Handel’s choruses are to the ear’. He also goes on to say that Derbyshire suffers greatly from the comparisons drawn between them – being born and bred in the Lake District, I couldn’t resist including that one. That said, Derbyshire was still a popular sketching destination which offered the unique lure of limestone scenery, fashionable spas, historic manors and rugged and wild vistas. Castleton and Dovedale have dominated the Derbyshire scenes. 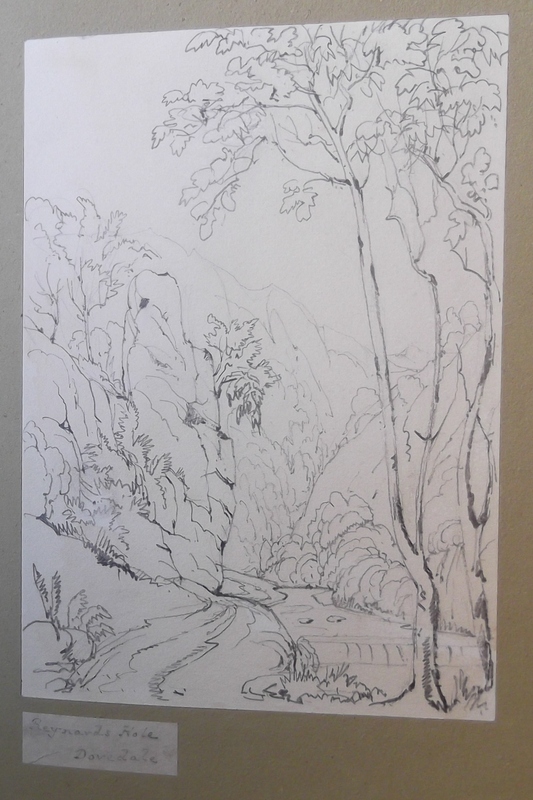 Here is a selection of Dovedale, sketched over a 100 year period.